"Organisations that wish to experiment with the technology without incurring start-up costs should consider partnering with a local 3D printing service bureau." 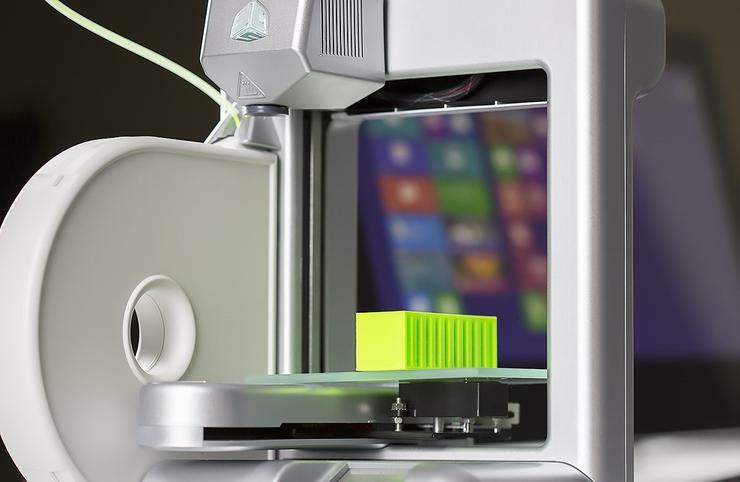 Sixty per cent of organisations believe high start-up costs are a main factor in the delay of implementing 3D printing strategies, according to a new survey by Gartner. However, the survey also found that early adopters of the technology are finding clear benefits in multiple areas. "3D printing has broad appeal to a wide range of businesses and early adopter consumers, and while the technology is already in use across a wide range of manufacturing verticals from medical to aerospace, costs remain the primary concern for buyers," says Pete Basiliere, research director, Gartner. "3D printer vendors must work closely with their clients to identify potential applications of the technology that may have been overlooked, and improve the cost-benefit ratios of their products. 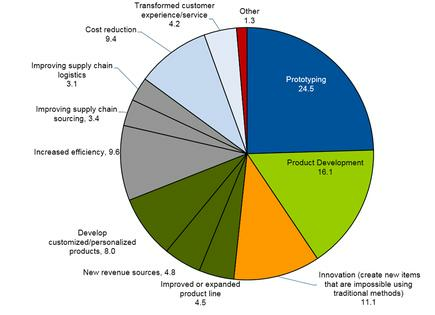 The survey also reveals that while prototyping, product innovation and development are the main uses of 3D printing, the technology is also being used extensively in manufacturing applications. "The market is emerging from its nascent stage as organizations move beyond design and prototyping applications of 3D printing toward creating short run production quantities of finished products," Basiliere adds. Read more What’s the worst ICT buzzword of 2014? "Based on these results and the answers to other survey questions, we predict that by 2018, almost 50 per cent of consumer, heavy industry and life sciences manufacturers will use 3D printing to produce parts for the items they consume, sell or service." Despite this ongoing evolution, 53 per cent of survey respondents indicated that managers of R&D engineering or manufacturing are the primary influencer driving any 3D printing strategy. The CIO, CTO and others outside of operations groups do play a role, but are not the primary decision makers. "An interesting finding was that respondents felt overwhelmingly that using a 3D printer as part of their supply chain generally reduces the cost of existing processes, especially research and product development costs," Basiliere adds. Read more Will video broadcasting be the new "selfie" by 2017? "The mean cost reduction for finished goods is between 4.1 per cent and 4.3 per cent, which is an impressive figure. "It shows that early adopters of the technology are finding clear benefits, which are likely to drive further adoption." When selecting a 3D printer, 37 per cent of respondents ranked the quality of the finished piece as the primary factor in deciding, whereas 28 per cent felt price was the most important. Only 9 percent of respondents felt that the respective categories of production speed, the range of materials the printer could use, or size of parts it could create were the most important things to consider. Of those surveyed, 37 percent had just one 3D printer within their organisations, with 18 percent owning 10 or more. The average number of printers per organisation was 5.4. "Clearly there is much room for future growth in this market, but vendors need to work on tools and marketing that show how the technology can be applied and drive competitive advantage," Basiliere adds. "3D printing vendors that take the time to articulate the value of their product in terms that align with their clients' needs will be well-positioned to capitalise on any future growth."